It has 2 DNS records, ns100.whbdns.com, and ns101.whbdns.com. It is hosted by Global Net Access Llc (Georgia, Atlanta,) using Apache web server. 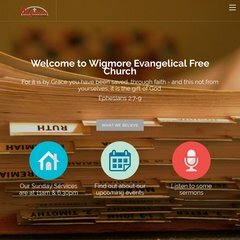 Wigmorefreechurch.org.uk's IP address is 74.81.65.178. PING (74.81.65.178) 56(84) bytes of data. Pinging the server, resulted in a 39.0 ms response.